It is classic Microsoft. Launch something before it is ready, then struggle to persuade the market to take a second look after it is fixed. This may prove to be the Windows Mixed Reality story. At IFA in Berlin last year, all the major Windows PC vendors seemed to have headsets to show and talked it up in their press events. This year, Acer has a nice new generation headset, but Asus made no mention of upgrading its hardware. Dell is showing Oculus Rift on its stand, and apparently is having an internal debate about future Mixed Reality hardware. 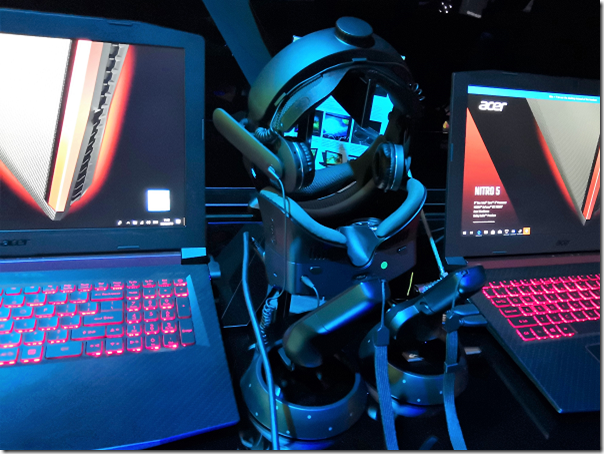 I reviewed Acer’s first headset and the technology in general late last year. The main problem was lack of content. In particular, the Steam VR compatibility was in preview and not very good. Today I tried the new headset briefly at the Acer booth. The good news: it is a big improvement. It feels less bulky but well made, and has integrated headphones. It felt comfortable even over glasses. On the software side, I played a short Halo demo. The demo begins with a promising encounter with visceral Halo aliens, but becomes a rather dull shooting game. Still, even the intro shows what is possible. I was assured that Steam VR compatibility is now much improved, but would like to try for myself. The big questions are twofold. Will VR really take off at all, and if it does, will anyone use Windows Mixed Reality?